n. 1 a: A 100 percent biodegradable vegetal leather, extracted from mushroom caps and “tanned” using chemical-free methods. b: Resembles suede but is “much softer,” according to Italy-based textile manufacturer GradoZero Espace. c: Described as breathable, pliable, naturally water-repellant, and suitable for direct contact with human skin. d: Claims to stymie the proliferation of bacteria. 2: Easily shaped into myriad three-dimensional forms, including purses, watch straps, shoe insoles, and hats. 3: Similar to Myx, a Danish-made textile made by fusing commercial mushroom production waste with hemp or linen fibers to create a durable yet flexible matrix. Would it be strong enough to make a bridle ? Interesting thought on categorizing a material as a leather. 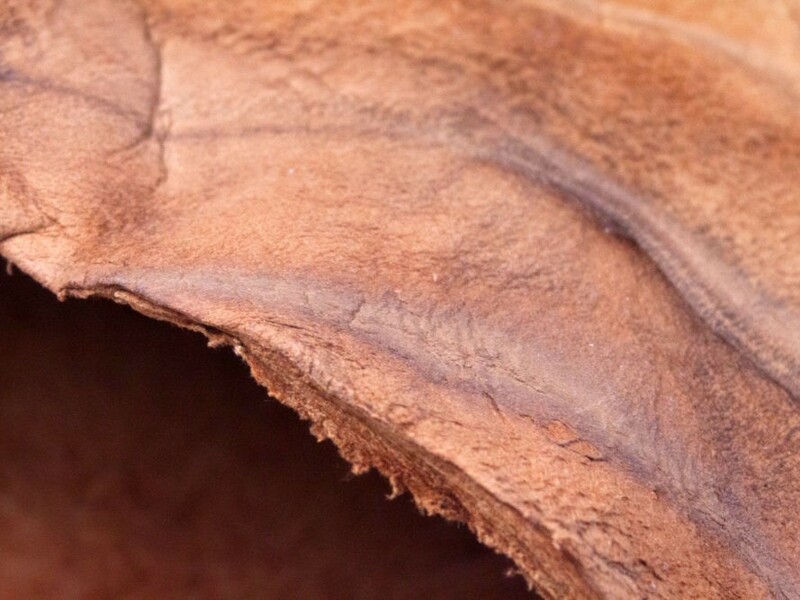 In many products, like the fun to eat "fruit leather", the word leather also not meant as a animal skin. Good point though Michael, to make sure to refer to the material category Muskin for official naming. Sue, it is unclear if the strength would be durable enough for a bridle. You can follow the links in the article to manufacturers, who may be able to help you or provide samples. I love the idea of making a bridle from Muskin. Please let us at Ecouterre know if you take the idea further! We've been admiring muskin for the past 18 months, and we'll be releasing new products soon from the first muskin label in the world. www.muskination.com. Hey... where can we get this material from or the product made of this material. I would love to buy some of this for leatherwork. Can anyone tell me where I can get some? I recently visited a Materials Connexion library and they had a sample of this material. The one I visited was in Grand Rapids, Michigan at Kendall College. If you contact them, they may have more details about the vendor if you are not finding enough contact info online. This is a wonderful thing, we need to stop thinking that Leather is such a wonderful product, it is the skin of a baby cow usually only about 2 months old when it is killed, if we can make things from plant materials instead of murdering animals it is a wonderful thing!! This development in mushroom leather is a response spanning several industries. The cost of cows had gone up in price 40%. The industrial planners came to an agreement for R&D money allocation. Create a viable substitute for leather in 5 years. This is an improvement in materials development that is worthy of praise as it adheres to stringent standards yet is still in it's infancy.